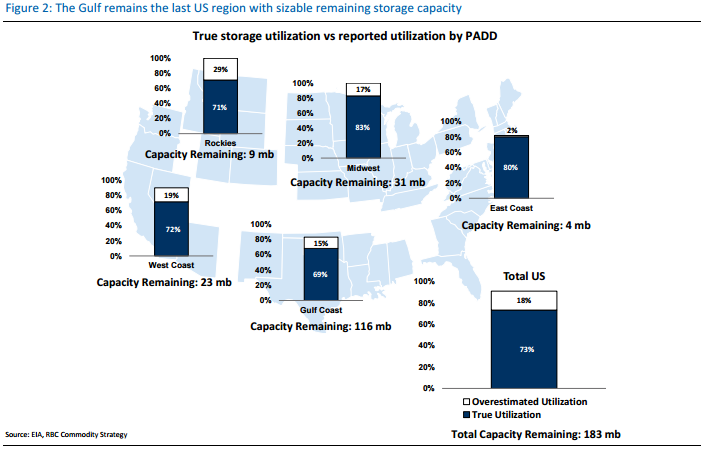 It’s Darkest Before Dawn For Crude Oil | Energy and Gold Ltd.
Before crude prices are able to return to equilibrium levels the tremendous global storage glut will need to be normalized. 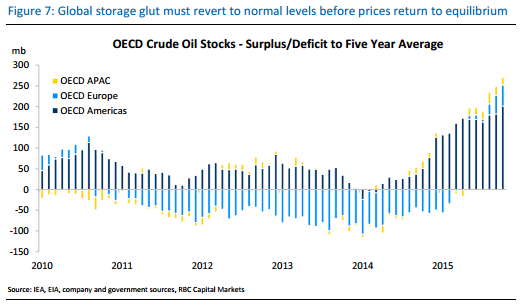 According to RBC this process will take at least a couple of years which means that $30-$40 WTI is likely to be the new normal for oil. We need to see a decisive move above $34 to have real confidence that the bottom is in. 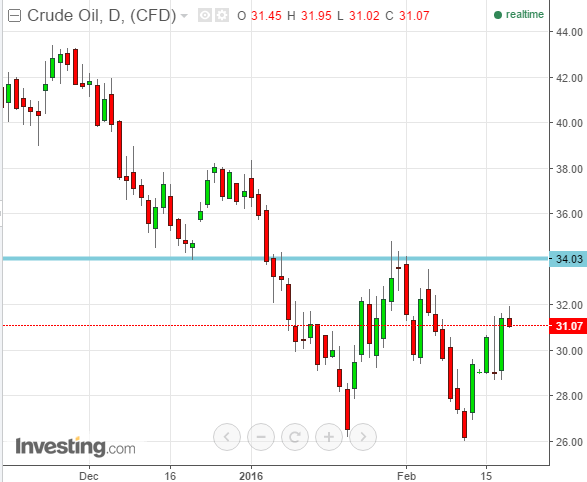 Another test back down to $28 or below before spring refinery runs begin is a more likely scenario.